Alls well that ends well, this is the general conception in life. The markets today sought of vindicated the belief, or to keep things simpler, we can say, the markets did exactly that… The day started on a sober note, with overseas cues weighing negatively on the market sentiment. The market was under pressure for more than two-third of the trading day. However, the last-hour hurray saw the markets wipe out the losses and end in the positive zone. 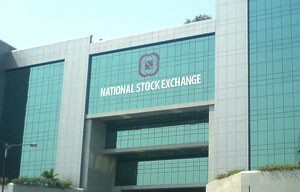 For the records, the BSE benchmark index, the Sensex had tumbled a wee bit over 200-points at the day’s low of 21,573. However, the sharp rally towards the end of the day saw the BSE index soar to a high of 21,853 – up 280 points from the day’s low. The Sensex finally ended with a marginal gain of 35 points at 21,810. Capital Goods major – BHEL and Larsen & Toubro were the major gainers – up around 2.5 per cent each at Rs 188 and Rs 1,256, respectively. Dr.Reddy’s, Tata Steel and Sun Pharma were the other major gainers. On the other hand, Wipro tumbled nearly 3 per cent to Rs 547. Bharti Airtel and Axis Bank were the other major losers. 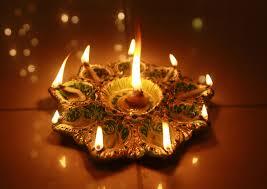 Meanwhile, the Indian Rupee too staged a dramatic recovery in the second-half of the trading day. In fact, it was the Rupee which triggered the recovery in the equity markets. The Rupee which hit a low of 61.55 in early deals, wiped out all the losses and eventually ended on a flat note at 61.19 per US dollar. 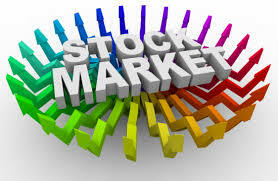 The commodity markets were relatively calm till early evening deals. 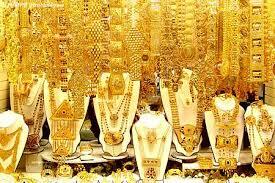 Silver was up around Rs 200, while Gold traded on a flat note. Copper, Lead, Crude Oil and Nickel are some of the prominent gainers, while Kapas, Cardamom, Natural Gas and CPO were the notable losers. In major economic news – which aided both the recovery in the Indian Rupee and stock markets, the WPI (wholesale price-based inflation) fell to 9-month low at 4.68 per cent for the month of February. The next RBI policy meet is due on 1 April, 2014, the markets have now pinned strong hopes for a status-quo policy as recent data has been very supportive. In other economic news, Alok Tandon, joint secretary in the disinvestment department, said the government plans to raise Rs 3,000-4,000 crore via stake sale in Axis Bank. Meanwhile, today ONGC and Oil India today bought 5 per cent stake each in Indian Oil Corporation (IOC) at Rs 220 per share. Another PSU – Coal India – whose officers were on 3-day strike, called-off the strike today, and have now given the company four more weeks, to settle claims or threaten to go on an indefinite strike. In corporate developments – G K Pillai quit as MCX-SX chairman after reports of CBI investigated the license issuance. CBI is probing the founder Jignesh Shah and ex-Sebi chairman C B Bhave with connection to the license issued in 2008. Ranbaxy suffered a major blow – after the Supreme Court issued notice to the company and the government – admitting plea for cancellation of the company’s license for alleged role in supplying adulterated drugs in the country. The latest reports on the biggest mystery of our times, the search for the missing Malaysian Airlines, now indicate that the plane may have been deliberately flown toward Andaman.